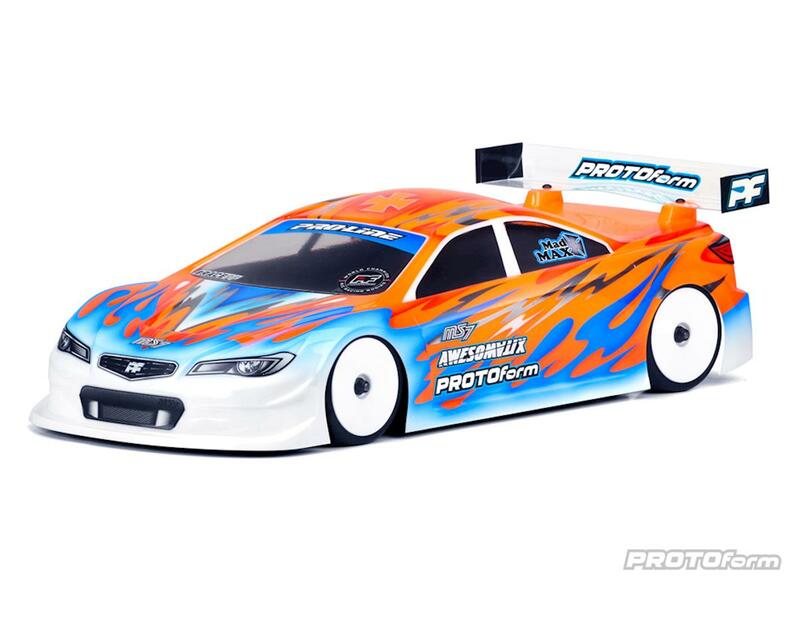 The Protoform MS7 Light Weight Touring Car Body was developed for high-grip track conditions. With a reduced downforce, more free-feeling car, the MS7 glides around surfaces such as CRC black carpet with superior corner speed. This body delivers smooth turn-in characteristics with increased mid-corner rotation, perfect for spec classes and small, tight tracks. It has also proven capable on high-grip asphalt tracks. The MS7 is Global Body Spec compliant and fully EFRA (#4057) & ROAR approved. 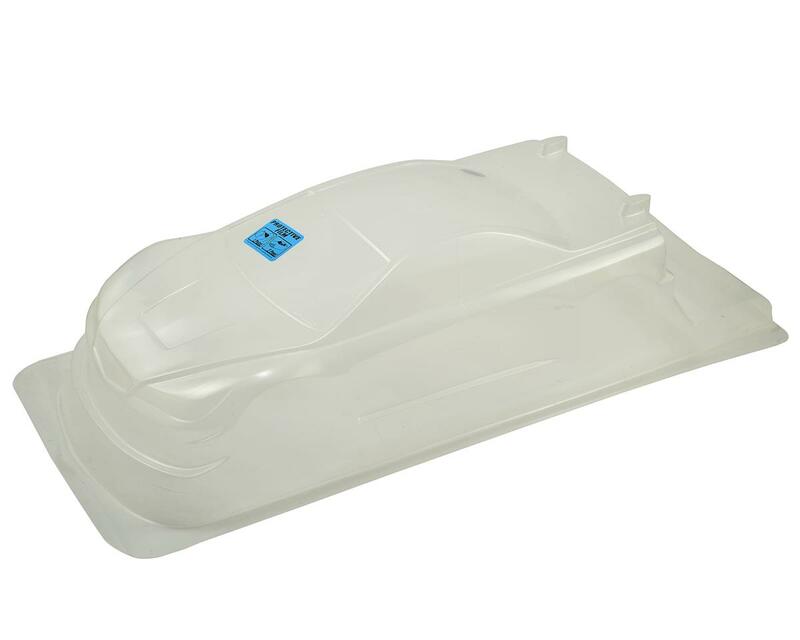 Made in the USA from high-quality, super-durable polycarbonate, it is available in both light weight and PRO-lite weight. 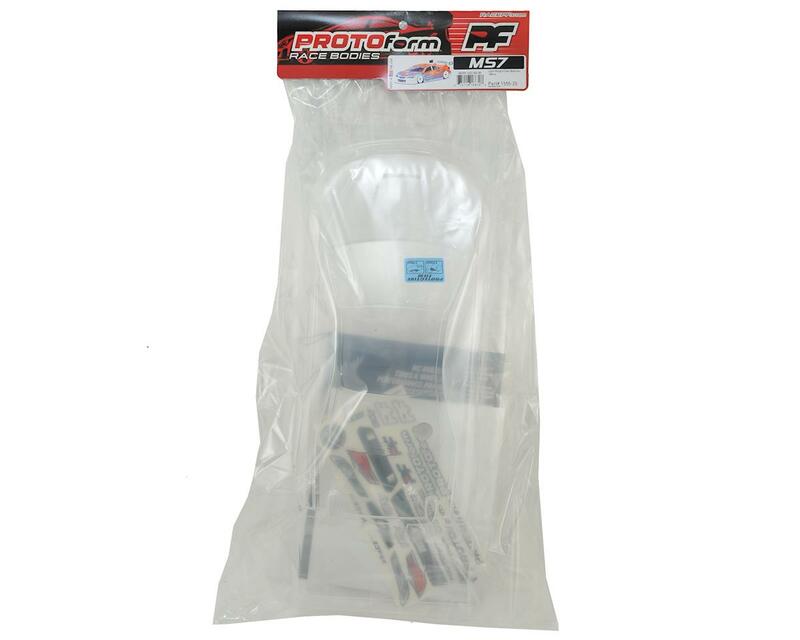 Included are a PROTOform decal sheet, window masks, overspray film and metric wing mounting hardware.